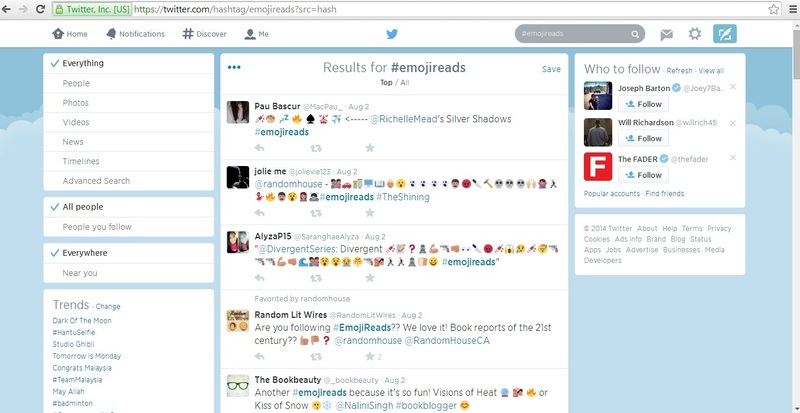 Last Friday, Random House created a lot of buzz at Twitterverse with the hashtag #emojireads. Anyone can join in the fun. You just need to know (1) book titles and (2) the right emojis that are synonymous with the book(s). I think it’s a brilliant way for Random House to engage with people via social media. Contributors were clever and creative with their tweets. Most tweets are direct to the point while some reveal the book’s plot. What’s your favourite #emojireads? Share the link(s) to your favourites in the comment box below. This entry was tagged Campaign, Digital, Global, Social media. Bookmark the permalink.